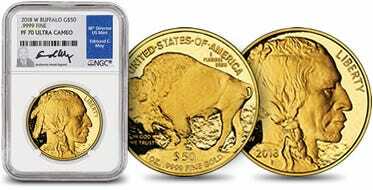 The $25 Gold American Eagle offers an affordable option for investors looking to add physical gold coins to their portfolio. The gold coins are struck in four different denominations ($50, $25, $10, $5) and were first issued in 1986. The design of the coin attractively captures the spirit of freedom and independence through the American bald eagle and a modern representation of Lady Liberty. Thought to be the most beautiful U.S. coin in history, the 1907 August Saint-Gaudens’ Double Eagle served as the inspiration behind the American Gold Eagle coin design. The olive branch is included in the design on both the obverse and reverse of the coin. On the reverse of the gold coin, the olive branch is clasped in the talons of an American bald eagle who is returning to the nest he shares with a female eagle and an eaglet. 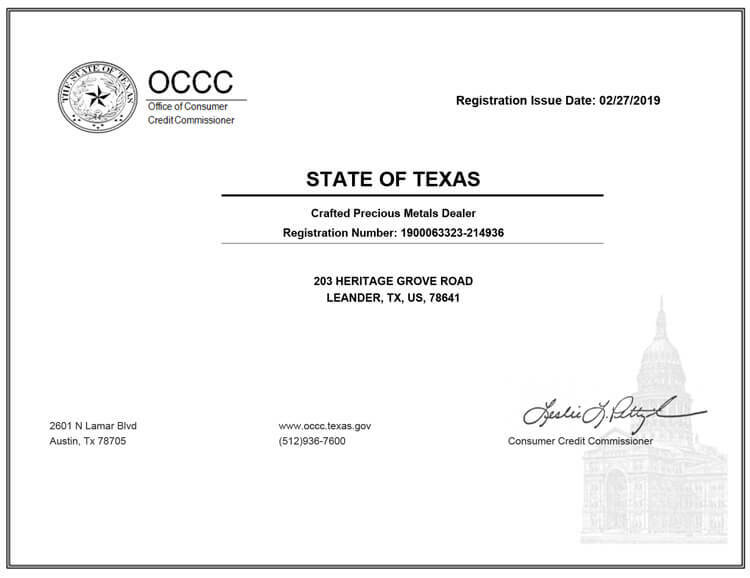 The obverse is a depiction of Lady Liberty moving forward in confidence, holding a torch in one hand, signifying enlightenment with an olive branch in the other, a symbol of peace. The $25 Gold American Eagle contains 0.5455 troy ounce of 22-karat gold (1/2 troy ounce of pure gold), is produced by the U.S. Mint. 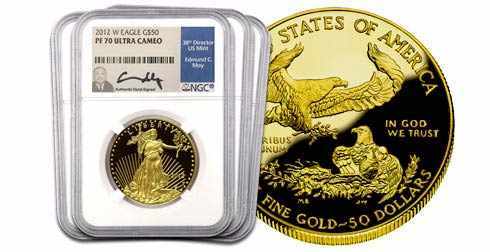 The fractional American Gold Eagle coins, (1/2 ounce, 1/4 ounce, 1/10 ounce) are continuously in demand because their lower price point is an attractive way for investors and collectors to include gold in their portfolio. 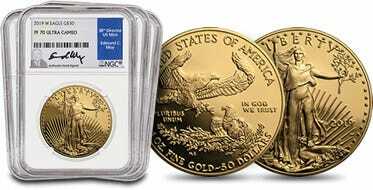 Market demand and other economic factors determine production levels of the Gold American Eagle coins. Actual year is dependent on availability at time of order.